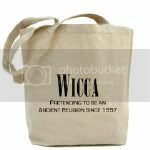 Wicca: pretending to be an ancient religion since 1957. 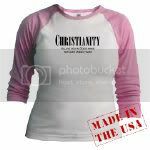 Christianity: killing you in God's name for 2000 years! Oh my gods! Ha! I want both of those shirts!